RecoMonkey is an independent, international combat identification and imagery project. RecoMonkey is in no way owned, controlled or funded by any nation state, government, intelligence service, agency, media group, or any other company. We are completely self-controlled and self-funded. All content (including codenames, designations, photos, videos) provided on the RecoMonkey website is from open sources only. We do not collect any form of restricted or classified information about equipments, platforms, units or anything else related to the Military or Law Enforcement. The project has a number of contributors - photographers, recognition experts and enthusiasts from different countries. Imagery – An extensive image database which is currently being added to the website and verified by competent and current experts. Regularly used by enthusiasts and model makers, the imagery is also used as reference material by 3d model makers and other experts. In the near future we hope to add video, drone footage and thermal imagery. Consultation – Regularly consulted on matters of combat identification and imagery for a wide range of customers and enthusiasts. We have also been used to verify 3d models for simulators & games. We also have experience in verifying image libraries to ensure contents are accurate and comply with copyright. Training – We offer mentoring, assessment and training to suit all levels of student and the training of instructors. Advice and practical assistance can be offered on methods of training delivery and assessment. This includes matters of thermal recognition training, practical equipment lists and models for assessment. We own the copyright to all our imagery and have full authority to use and sell any imagery from contributors. Neil served for 14 years with The Royal Scots Dragoon Guards and 10 years as a Specialist Instructional Officer & Subject Matter Expert for Recognition Training within UK MOD. He has over thirty years experience in recognition training and ten years in the wider field of combat identification. Ten years experience as the subject matter expert for recognition training and the training of all instructors for UK MOD. He was made redundant in 2015. He started RecoMonkey in Apr 2016 and is regularly consulted as a competent and current expert on matters of Combat Identification, platform identification and verification of 3d imagery for simulation products. He lives in the UK. 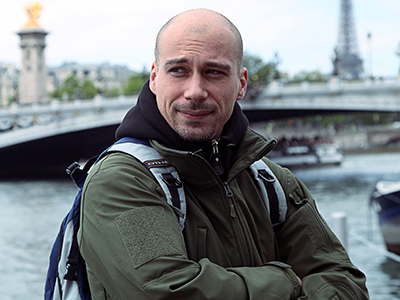 Vitaly started military and police related photography in 2006. With the experience of over 12 years in imagery Vitaly runs an outstanding personal blog with various military pictures from uniforms to nuclear submarines. 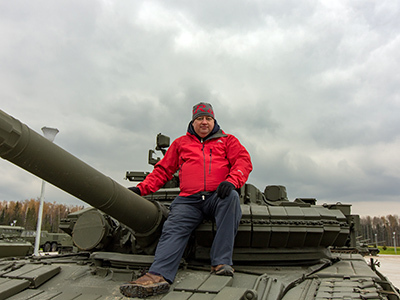 Vitaly’s photos are well-known and highly respected among recognition experts, modellers, enthusiasts and Russian MoD officials. Vitaly has contributed to a significant number of publications regarding military and police matters around the world. He joined RecoMonkey on May 2018 with ideas of a complete redesign and improvement of RecoMonkey’s content. He lives in Russia and is an integral part of the RecoMonkey team.